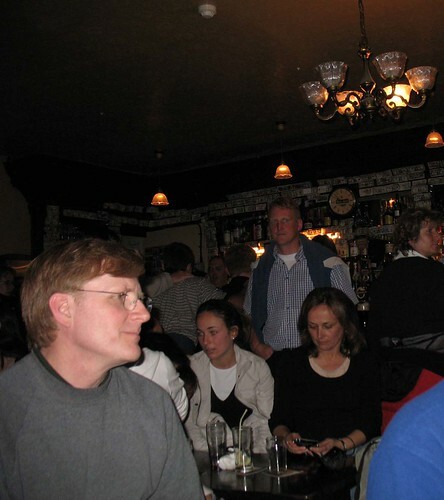 do you recognize this man in the grey sweatshirt and glasses? 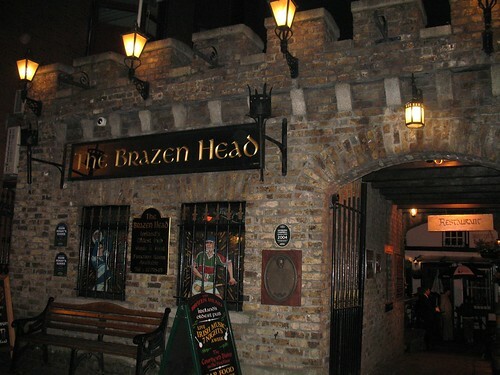 it may have been the guinness, but we were fairly certain that travel writer rick steves was sitting next to us in ireland's oldest pub, the brazen head. ok, looking at the photos on his website, it seems unlikely that it was him, but it's still a good story. 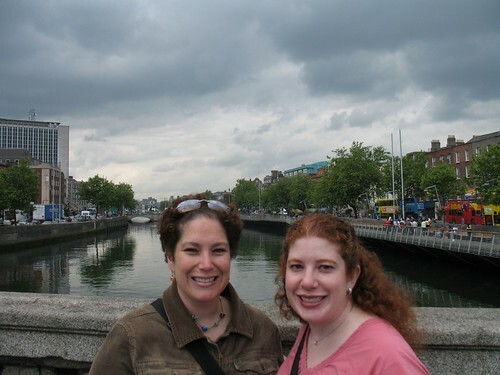 my sister and her husband are in ireland this week for their friends' wedding and invited me to join them for a couple days. 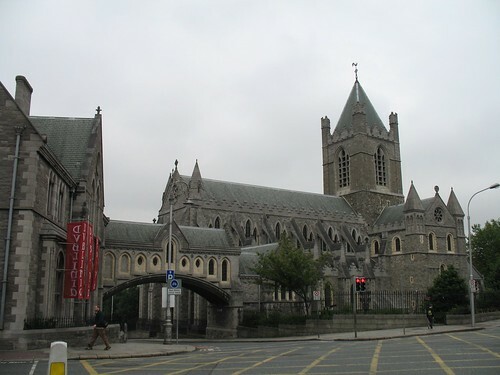 we walked all around dublin and saw many of the famous tourist spots. 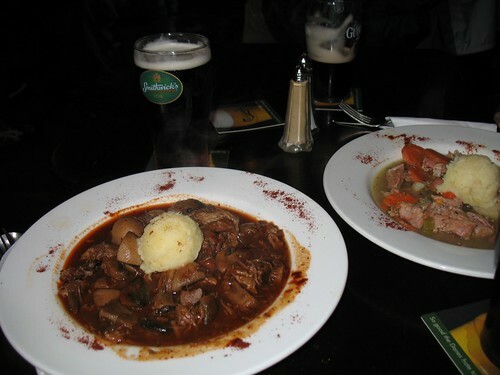 and naturally, the brazen head for beef and guinness stew and live music. 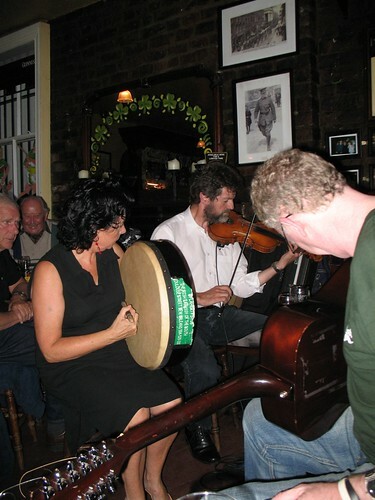 so there we were, sitting in a corner in the brazen head enjoying our meal. there was a young couple at the table next to us, and on the other side of their table was a man sitting with an older couple. the man leaned over and asked the young couple if they were newlyweds. "yes, we're on our honeymoon." "oh good, let me regale you with obscure anecdotes about traveling around europe that only a professional could know..."
at this point, the resemblance to rick steves was almost impossible to ignore. wearing sensible travel clothes? check. 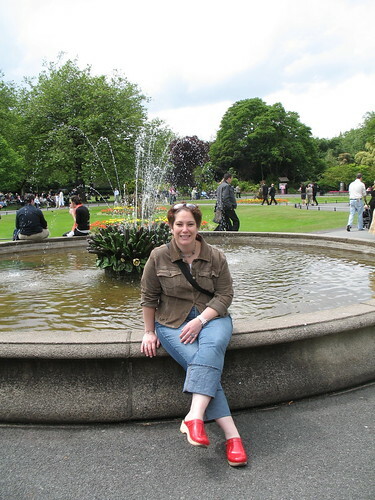 knows a lot about traveling and has plenty of stories and tips? check. sounds like rick steves? check. we started daring each other to go ask him, but there was a little problem. none of us particularly like his travel guides or shows. i have never managed to sit through an entire rick steves show because i find him kinda dull. so what would happen if he actually *were* rick steves? i couldn't in good conscience say, "i love your shows man!" and it would be rude to say, "shrug, i'm not such a big fan. why should i watch you travel all over europe when i can do it myself?" 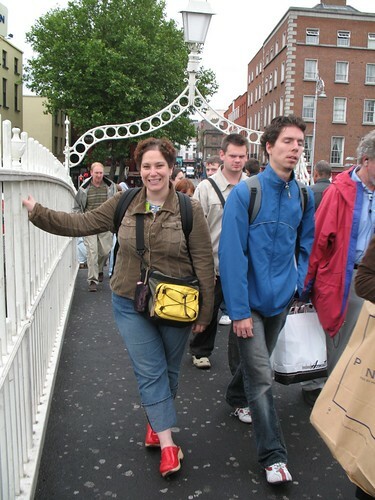 "hey, we have been over there debating for the past hour whether you are or are not rick steves. so are you?" he laughed and said no, but he gets that a lot. wink wink. then the older man whispered to me, "yeah, he is..." wink wink. the conversation didn't go much further because the band started playing, but he was a good sport and let my sister take a picture of him with her husband and me. my photo (top of this entry) was taken on the sly and doesn't do much to prove or disprove the case. i'll have to wait for her to email me the better pic to make a more accurate assessment.